My love affair with guava continues this week. In pastries, cocktails, cheesecakes, bars, and baked with brie- guava is my jam. Guava and goat cheese panna cotta are like little pastelitos de guayaba con queso without the puff pastry and a little extra ‘je ne sais quoi‘. The goat cheese adds a richer, creamy texture without overpowering the palate, and the bright guava flavor cuts through the tang and shines in your mouth. Panna cotta is an easy and practically fool-proof dessert that can be made ahead of time, which is great especially if you’re entertaining. Cream, sugar, and gelatin is all you need to make this classic Italian dessert although my variation uses goat cheese, vanilla bean, and tropical guava. In less than 20 minutes I had six adorable individual desserts ready to pop into the fridge and become silky satin. Like Cuban flan, panna cotta is versatile, simple, and it just so happens to be gluten-free (if that matters to you). Panna cotta’s simplicity allows you to add flavors and get creative with ingredients like coffee, almonds, rosewater, fresh berries, liqueurs, and pretty much any combination you can think of. Allow the goat cheese to soften at room temperature. Mix the packet of unflavored gelatin with ¼ cup cold water and allow the gelatin to soften for around 5 minutes or so. Heat the sugar and half and half in a sauce pan over medium heat making sure to stir occasionally. While the milk is steaming, scrape the vanilla bean. 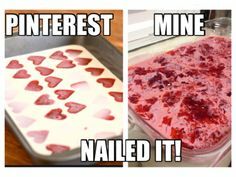 I scraped mine on top of the softening gelatin just because I didn’t want to wash another dish. When the milk is steaming and all of the sugar has dissolved turn off the heat and whisk in the softened goat cheese until smooth. Add in the gelatin and vanilla bean. My gelatin turned into a small puck in the ramekin yet quickly dissolved into the goat cheese panna cotta. I had enough of the goat cheese panna cotta mixture to fill six individual cups. I allowed them to cool at room temperature for 30 minutes before placing them in my fridge (mainly because my fridge is too tiny and it would have heated up its contents too quickly). If you are blessed with a large fridge pop those suckers in when they’re done and cover them with plastic wrap around an hour later. While the goat cheese panna cotta are cooling down and setting start the guava sauce. Mix 2 tablespoons of cornstarch with around ¼ cup of guava nectar and whisked until smooth and set aside. Heat the remaining guava nectar with 2 tablespoons of sugar until it was just simmering. Add the cornstarch guava mix and simmer 5 minutes or so longer until the sauce is thick enough to coat a spoon. Remove from the heat and squeeze in the juice of a fresh lemon wedge. This made around 2 cups of the guava sauce, although you likely only need a ½ cup or so for this recipe. Pour the guava sauce into smaller individual ramekins to cool and set faster. Once the goat cheese panna cotta has set pour the guava sauce on top. You can allow the guava sauce to set on top or garnish before serving. **The guava sauce tasted just like Conchita Guava Marmelade. If you want to take a short cut just spoon this marmalade on top of your goat cheese panna cotta. Fall has finally arrived, and in celebration I made a bourbon pumpkin bread pudding with butterscotch bourbon glaze. Bourbon pumpkin bread pudding comes together in blissful union as Maker’s Mark takes canned pumpkin to be his happily ever after. There is something magical about the onset of fall. It is at this point in the year where everyone begins to question how time flew by so quickly as the memory of New Year’s, spring, and summer seem so fresh and recent. Although those of us in Miami won’t be able to enjoy the changing seasons, pumpkin patches, and chilly air that inspires giddy anticipation for the holiday season, I will be celebrating fall in spirit with the rest of you. While you can always count on retail giants to remind you of each and every upcoming season, there is a palpable change in the air and mood. In Miami we vainly hope for chilly days below 70F where we bundle ourselves in boots, scarves, and hooded sweaters. Alas, I am but reduced to enjoying a pumpkin spice latte with blasting AC in 90 degree weather, but we can all dream right? The bourbon pumpkin bread pudding is doused in a wonderful butterscotch bourbon glaze that crystallizes and hugs every spiced nook and cranny. If you would like to serve this hot I would recommend a scoop of vanilla ice cream sprinkled with pumpkin pie spice instead of the whipped cream, but the fresh whipped cream was equally decadent. Bourbon pumpkin bread pudding will put a smile on your face and remind you of all the goodness that is yet to come in these final months of this year. This is a keeper for Thanksgiving, so bookmark this recipe to treat your family and friends! Preheat your oven to 350F. Dice the stale bread into evenly sized cubes and set aside. I used about half of a loaf of stale French bread and 3 stale Martin’s potato rolls (I know this is random, but it’s what I had on hand!). Like I have said before bread pudding is made of simple ingredients! Next mix all of the rest of the listed ingredients together. I mixed these together using my KitchenAid but a hand mixer or simply whisking the pumpkin custard ingredients together will also work. Place the diced bread into a greased Pyrex baking dish. Pour the pumpkin custard over the diced bread and gently toss the ingredients together until all the bread is saturated. Now press the soaked bread into the dish evenly. Bake the bourbon pumpkin bread pudding for 40-45 minutes or until firm and set. I allowed this to completely cool before pouring the butterscotch bourbon glaze on top. For the glaze I placed a ¼ cup of sugar and the tablespoon of butter in a saucepan. I allowed these to melt and brown together until wonderfully toasty and a light caramel color. This involved stirring over low to medium heat for 7-9 minutes. Next slowly add the whipping cream while constantly stirring. The butterscotch will immediately begin to bubble and change color. When fully incorporated pour in the bourbon and whisk until you no longer smell the sting of the alcohol in the air. Pour the butterscotch bourbon glaze on top of the entire bourbon pumpkin bread pudding and allow it to cool in the refrigerator. I personally prefer my bourbon pumpkin bread pudding cold, but this will taste amazing on the spot or heated up to serve. Prepare the whipped cream right before serving by putting 1 cup of cold whipping cream with 2 tablespoons into the KitchenAid and beating until beautiful whipped peaks form. Top the bourbon pumpkin bread pudding with fresh whipped cream and sprinkle with pumpkin pie spice for garnish. Fall has arrived!